Home News Is President Solis Less Eager to Sign Trade Pacts? Is President Solis Less Eager to Sign Trade Pacts? (CSM) Costa Rica’s drive to sign new free-trade agreements appears to be meeting the end of the road with the election of a new president. Luis Guillermo Solís was inaugurated the week after his predecessor Chinchilla signed a free-trade agreement with Colombia. Solis has said he is skeptical such pacts are the best way to draw investment to Costa Rica. 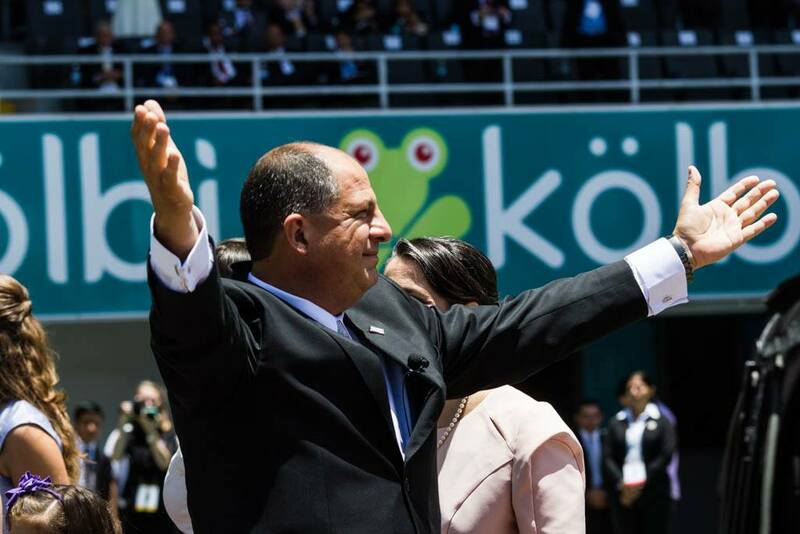 President Luis Guillermo Solís, who was inaugurated the same week that his predecessor Laura Chinchilla signed a free-trade agreement with Colombia, has expressed skepticism that such pacts are the best way to attract investment to the Central American nation. Before being sworn into office Thursday (May 8), Mr. Solís had asked Ms. Chinchilla to ease back on signing new free-trade agreements, notes our correspondent in San José. Chinchilla signed the agreement with Colombia last Monday (May 5), bringing Costa Rica closer to full integration with the Pacific Alliance bloc made up of Colombia, Chile, Mexico, and Peru – all of whom now enjoy trade pacts with Costa Rica. During her four-year tenure, Chinchilla also signed agreements with the European Free Trade Association in March, the European Union in October 2013, Singapore in July 2013, and Peru in June 2013. The tie-up with the European Free Trade Association – which comprises Iceland, Liechtenstein, Norway, and Switzerland – is expected to benefit Costa Rica’s agricultural sector, especially coffee, bananas, pineapple, and palm oil. The agreement is aimed at attracting foreign direct investment in tandem. Previous article[OP-ED] DO THOSE WITH THE MOST COURAGE HAVE RIGHT of WAY?